Avengers vs X-Men might be tearing up the sales charts at a comic store near you, but in August the smooth-talkin', projectile-powered heroes of both sides will be spun out into their own respective books, and for fans of Hawkeye and Gambit, it can't come soon enough. 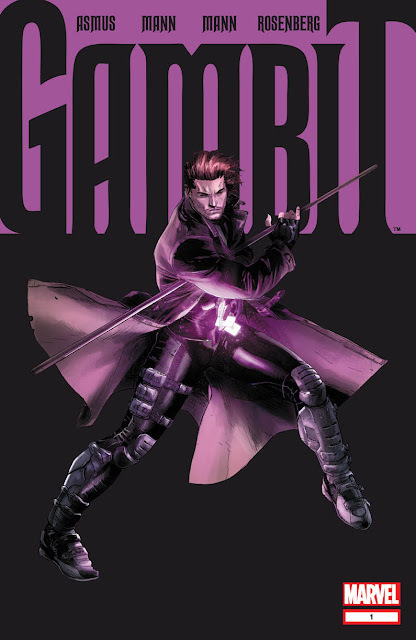 Infact it wasn't that long ago we were talking about Gambit's need to get his own book right here on IADW. Written by James Asmus and drawn by Clay Mann, the duo plan to play off the sexiness of the pre-eminent thief in the Marvel U, by having him breakaway from the X-Men and the often explored Gambit location of New Orleans. In it's place, adventures which reintroduce Gambit as he steals from space, Kirby-monster laden locations and other thrill-fraught destinations. 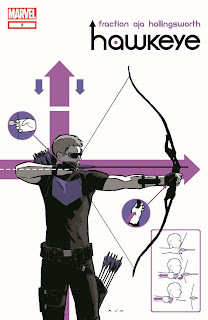 Hawkeye will hit the streets and reunite the Immortal Iron Fist pairing of writer Matt Fraction and artist David Aja. David Aja back on a street-level hero, who just happens to tackle some of the craziest threats Marvel can muster, albeit with just a bow and arrow, is enough to pick up this title! Add to that fact that now all the 'movie Avengers' except the Black Widow have now been given their own book, and you have to wonder if the House of Ideas will give the Widow another spin in the months ahead. I hope so! Digging these "designee" comic covers! more please! I know right Marcelo - typography can sure make an eye-popper! Hawkeye has always been super popular and this cover art is artistically Marvelous. You are right OA, heck he pretty much was the reason for Solo and West Coast Avenger books! I'm specialy eager to see what comes of Gambit these time! You and me both Aliera! I've already let me LCS know I want in!